Electronic Arts is no longer going to publish physical manuals for its sports videogames. Game manuals are becoming increasingly irrelevant these days. A big reason for this is probably because the number of people who actually read game manuals has been consistently dwindling over the years. EA seems to have clued in on this, and it's decided to stop shipping manuals with its EA Sports titles. The decision makes a fair amount of sense, as it reduces package weight, production costs, and shipping expenses (by reducing the weight of the game's package). That said, EA plans to include a digital version of of a manual directly onto the game's disc. 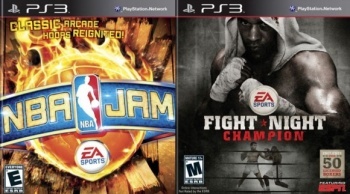 According to Kotaku, the last EA Sports game that will ship with a manual will be NBA Jam, while Fight Night Champion will be the first title to sell without a manual. EA isn't the first publisher to make a move like this. Back in April, Ubisoft announced it was getting rid of user manuals. It'll be interesting to see if other publishers jump on this manual-free bandwagon, now that two of the biggest names in the business have decided to do so.